For your convenience. 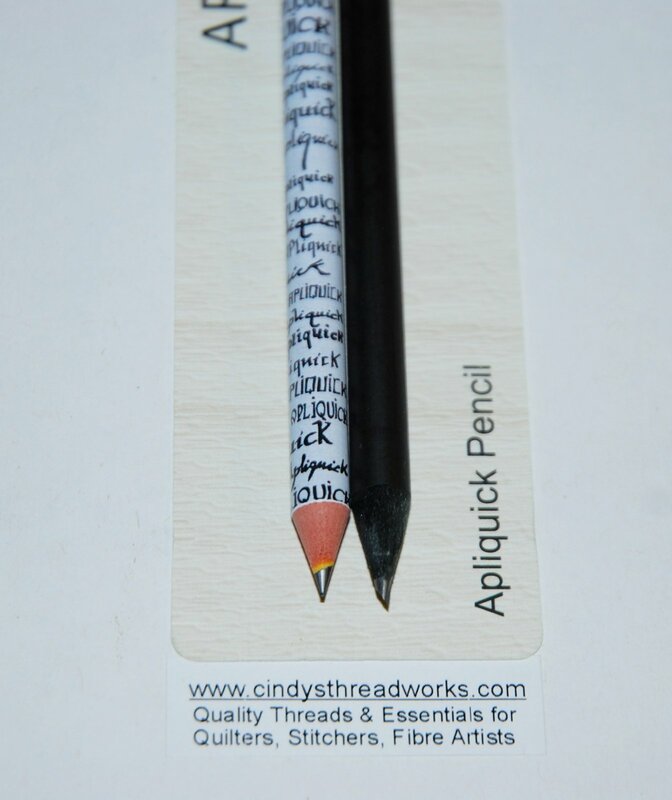 Exclusive to Cindy’s Threadworks 1 of each pencil.The dark Apliquick pencils are pure graphite. They are soft enough to write on the fusible side of the stabilizer without distortion or tearing. The lighter pencil 'A' has no graphite, some ecological material. You can mark on fabric and it will erase. It is amazing how well it comes out of white fabric--the best news! Link to White Pencil.Both pencils have their benefits! Or buy both packages and share with a friend.